Share Outlook over the Internet – CodeTwo Public Folders 5.0 is here! Well, it is official now! The new version of CodeTwo Public Folders is finally here. And it is not just a regular update, but an upgrade to version 5.0. This new release is by far the biggest milestone in the development of this powerful Outlook sharing plugin. 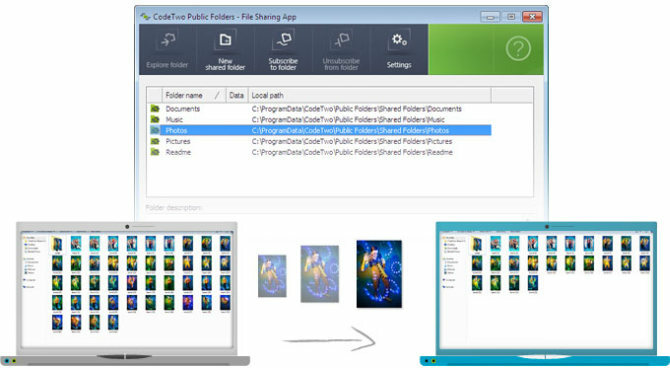 With its new features, like the unique Internet synchronization, or the built-in File Sharing App, CodeTwo Public Folders 5.0 goes far beyond simple Outlook sharing and opens up completely new possibilities to users. Here’s what’s hot in the new version of the program. 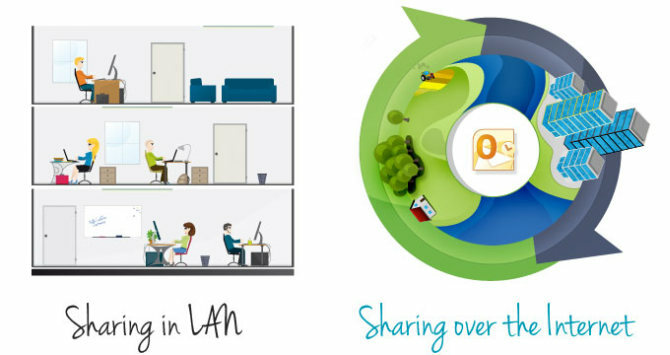 Share Outlook over the Internet – no Cloud involved! We thought about it for a long time and we finally did it. The new Internet synchronization feature allows you to share Outlook with multiple users wherever you are, no matter if it’s your local office, or a different office across the seas. What’s the most important, our Internet synchronization mechanism involves absolutely no Cloud services – and this is what really makes it stand out in the crowd. Why? Because in this model the only place, where your precious company data is stored is always your secure company network. Your shared information is never uploaded to any external servers where other people could possibly hack it or steal it. Of course, if you still wish to share your Outlook data within a local network only, the program will let you do that. It’s up to you. Because we do not use Cloud servers, it is always YOU, who remains in full control of your shared information. 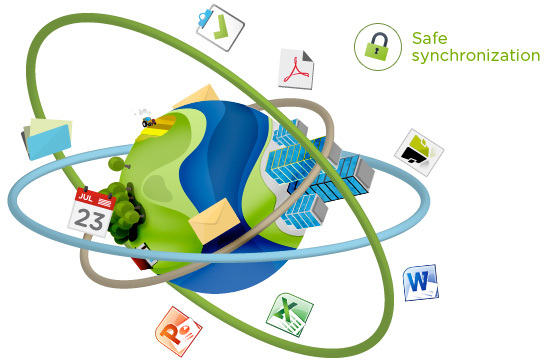 With CodeTwo Public Folders you do not create any sorts of accounts or virtual discs anywhere in the Cloud. All shared Outlook items travel always directly between the linked machines and the only place where they are actually saved are their local hard drives. This method, combined with data encryption and the advanced access rights options of CodeTwo Public Folders, is probably the highest security standard you can presently get! We do realize that oftentimes Outlook sharing is simply not enough. That’s why the new version of CodeTwo Public Folders is equipped with a built-in File Sharing App, which allows you to share all sorts of Windows files outside your mail client. Again, the synchronization occurs in real time and without using the Cloud, you can do it either through a local connection or the Internet. New user’s interface (Outlook icons and the Administration Panel). Improved security: central management of logins and passwords. Improved security: it is possible to use Active Directory credentials. Improved security: access to the Administration Panel is secured with a login and a password. New licensing model. The program is sold in two modes: with or without the Forwarding Service responsible for the Internet syncing. Download and upgrade your program now! Because it is an upgrade, it is not free of charge. If you are a current CodeTwo Public Folders user and wish to upgrade your program to version 5.0, please contact CodeTwo Customer Service for more details. They are waiting for your emails and calls 24 hours a day, Monday through Friday. And if you do not own the license for the program, watch this video, or feel free to test CodeTwo Public Folders with no limitations for 30 days. Download the installer now and find out yourself how much this app has to offer! Note! Customers, who purchased CodeTwo Public Folders 4.x between June 14 2012 and September 13 2012 can upgrade the program at no additional charge. Please contact CodeTwo Customer Service for details.